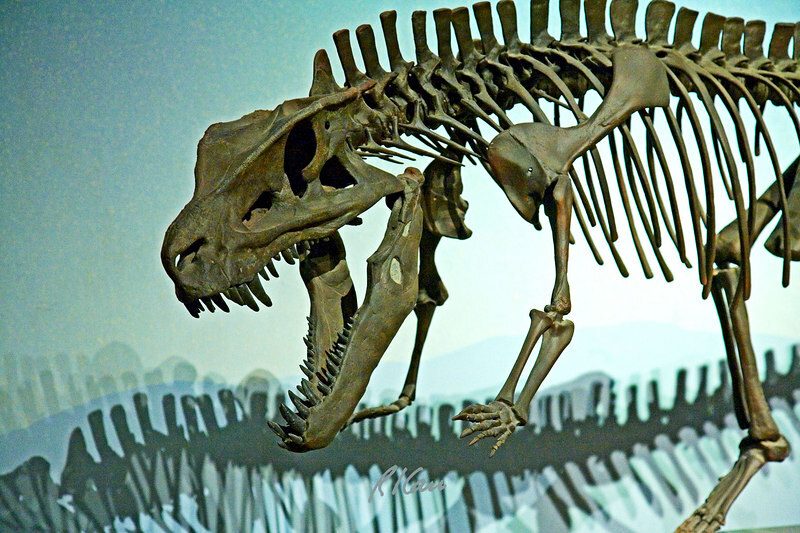 Dinosaur skeleton: An archosaur, postosuchus kirkpatrickii, was a large meat-eating reptile member of thecodont group of the late triassic period, 235-208 million years ago, before the dinosaurs. Postosuchus walked on all fours but could walk on its hind legs for short intervals. This is a composite skeleton, constructed from castings of bones from several museums. Los Angeles County Museum of Natural History, Los Angeles, California, January 2006.